Nearly two-thirds of the University of Plymouth's research has been graded as world-leading or of international quality, according to the nationwide review of research standards across the higher education sector. Overall Plymouth had more than 63% of its research graded at 3 and 4-stars – nearly double the score achieved in 2008, when the previous assessment exercise was conducted. It means the University retains its place in the Research Fortnight Power League top 50. The results will be used by national funding bodies to allocate block-grant research funding to universities from 2015-16. 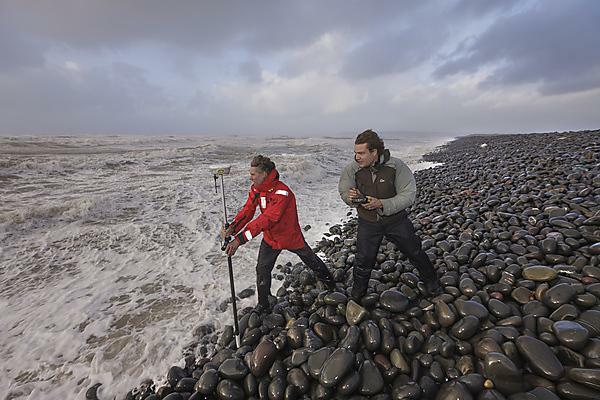 Earth Systems and Environmental Sciences, which includes marine, environmental chemistry and geology, was the University’s highest-rated submission, with 85% of its research graded at 3 or 4-stars. Computer Science and Informatics, Psychology, Psychiatry and Neuroscience, and Clinical Medicine all registered scores of around 80% – with the University of Plymouth's Faculty of Medicine and Dentistry ranked 13th overall, and first in the country in terms of the medical research ‘outputs’, based upon the quality of its publications and the number of citations - ahead of Oxford, Cambridge and UCL. Each submission was also graded according to the impact of the work, and the research environment, such as the amount of funding received and the number of PhD students in each area. The REF is the first major review of research standards at UK universities since the 2008 Research Assessment Exercise. A total of 154 universities took part, with 1,911 submissions reviewed by expert panels. The REF results follow Plymouth’s progress in the 2014 CWTS Leiden Rankings, when it was named among the top 90 universities globally (and 16th in the UK) for the quality and influence of its research, with the rankings measuring scientific impact and involvement in scientific collaboration.